Is this a life likeness of Jane Austen at 14 or 15 or isn't? That is the question about the Rice Portrait of Jane Austen by 18th-century British artist Ozias Humphry. The painting will be auctioned on April 19 at Christie’s in New York for over a half million dollars. The Rice family claims that this image of Jane,with her simple white muslin gown and simple yet elegant hairstyle, was painted around 1788 or 1789. 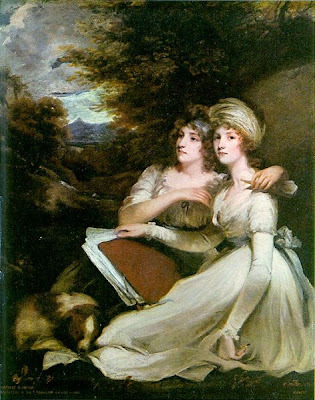 Below sits an image of the Frankland sisters, which was painted in 1795, at least 7 years later than the Rice portrait. Notice that the waist sits lower than the empire waist, and that the sash displays a prominent bow. The sisters' hair is curly, and quite elaborate. These characteristics show up in the next image as well. This image of Marie Antoinette and her children in 1787 shows fashions that are not much different than those of the Langland Sisters. The waist sits lower than an empire waist, and the sash is wide, with a noticeably large bow tied in the back. Examine the hairstyles of both mother and daughter, the Duchesse d'Angouleme. Marie is wearing the powdered wig so popular during this period, while the Duchess's hair is crimped and quite stylized. 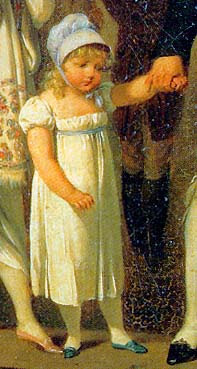 The 1803 image below of a young girl by Louis Leopold Boilly echoes the purported image of Jane in this post. We know that children in those days wore fashions similar to adults, and I would say that this dress more closely resembles the one worn by the girl in the Rice Portrait than those worn by the Langland Sisters or Marie Antoinette. Observe the child's relaxed curly hairstyle and her simple kid slippers. So, gentle readers, you decide. Is the Rice portrait authentic? Provenance is important in determining a painting's authenticity, but even if this portrait has remained in the family's possession for over 200 years, who can prove that this is indeed an image of a very young Jane Austen? I wish it were, but does wishing ever make anything come true? "Rice and his family never doubted the lively girl wearing a long white dress and carrying a parasol was their ancestor. Yet, in 1948, a leading Austen scholar dismissed the authenticity of the portrait, saying the style of costume the subject wears does not match the date." (Quoted from the Yahoo article below). Based on the wealth of paintings and drawings we have at our disposal, I would have to agree with this scholar, although obviously Christie's auction house doesn't. 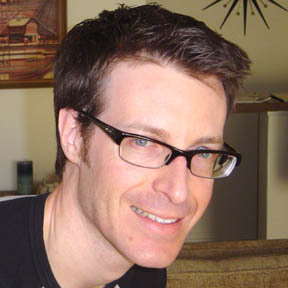 Read this article, "My Dear it is a Matter of Dress and Sensiblity," written in 2003 by Jack Malvern in the Times Online. The author makes a clear case for authenticity. So my question to you is: Do you think this is an early portrait of Jane? My Dear Ms. Place, Thanks for posting the links and posing an important question. Is the Rice Portrait of Jane Austen authentic? I wish the mystery to continue; adding to my fascination in "all things" Jane Austen; genuine or in a lack thereof . . . I read the articles with interest. (essentially) this portrait (of a woman who was recognized somewhat before her death)held by her relations for about 200 years. The dress thing is the biggest hurdle I have to accepting this portrait, but on the other hand, how could a family NOT know their own already-known relative's likeness? Maybe someome really UP on brush strokes and this artist's style can really nail down at least the age of this portrait. I can't believe that dress is from 1788! Very interesting! My dearest, after examining Clarke's portrait of Jane Austen and its related articles, and accidentally placing Humphry/Rice's portrait at the same level with Clarke's, I have to say that both paintings portrayed if not the very same woman (i.e. JA), then it's the portrait of a close relative. But, as Humphry's painting was supposed to be made pre 1797 (before he was blind), thus Humphry/Rice painting should precede the Clarke painting (which I believe to be authentic). Hence, after also examining Rice's articles, yes, I believe the Rice painting is JA when she was younger (pre 20).